Help, I need lessons in classification and indexing again! Good news, I have now started posting on the new website. I have had some instruction from Christoph, our web designer, and it seems fairly straightforward. People post all the time don’t they? 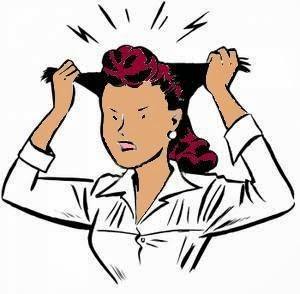 However, I want this website to look well-structured and with some standards – I was a librarian after all – so I have to decide on main subject headings (parent categories), subordinate headings (sub-categories), and indexing entries (tags). We will be including text, images and audio files of extracts from our oral history recordings, so all these need to be incorporated into the structure. My original list of main subject headings was far too long, so between us we cut it down to a manageable six and it seemed to work until I listened again to one of the recorded extracts, the topics of which could have been put under several main entry points! I was getting frustrated at this point but fortunately my team and Sarah and Julie, the ladies from the University of Hertfordshire, came to the rescue. Sarah and Julie held another workshop for us at UH. I had sent Sarah my headings and given her the link to the website to have a look. The group discussed these and now we have come up with a definitive set: Places (buildings streets etc. ), Spaces (green areas including the river, plus leisure pursuits), Industry (including rural industries and occupations), People and Timeline (medieval through the centuries, pre-war, post-war etc.). We also have a general oral history heading (can’t think of a better name) which is intended to cover the transcriptions in more detail. More in depth indexing is required here. I had better do a list of tags, so that I don’t put up too many variations, and make a decision on where to use upper and lower case. Good entry points and indexing should mean that information will accessible and so benefit researchers as well as those with a general interest in the Sopwell area. I am encountering many dilemmas which remind me of cataloguing and classification training at library school! IT for Nurses springs to mind! IT or Nursing, Nursing or IT? So, where do I put the main entry for Sopwell Mill farm - under Industry, Places or Spaces? Where should footpaths go, Places or Spaces? I think I should have paid more attention. You will have to wait a bit before the website goes live I am afraid, but I am sure it will be worth the wait. A couple of weeks ago, I was privileged to have been invited to the Eid festival organised by the newly formed Sopwell Community Trust. Eid is a Muslim festival which marks the end of the month of Ramadan. There was lots going on which was very interesting if rather noisy at times. A lot of community spirit was present which was refreshing. I was hoping to make contact with the Asian community and try to persuade them to take part in sharing their memories. I met lots of interesting people but only one guy agreed to be interviewed. I have since listened to his stories which were really interesting. His family once owned the first Indian restaurant in Hertfordshire, the Koh-I-Noor in George Street, St Albans. 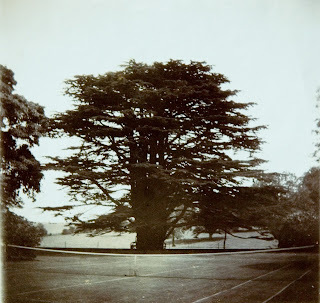 In my last post, I suggested that we might have the oldest cedar of Lebanon tree in England, but, apparently, there is one planted in 1646 by a Dr Edward Pocock in the grounds of his rectory near Wantage in Oxfordshire, which claims this title. We are not giving up. Maybe they don’t know about ours. Two of us decided to measure the girth of our cedar tree in St Stephen’s Field to see how much it had grown in 100 years. The measurements in 1914 were in Imperial but we had to do it in metric as our tape was in metric. It didn't help that the tape we had borrowed was very rusty and broke off at 10cm! However we managed. As in 1914, we took three readings: one at approximately 1ft (0.30480m); one at approximately 3ft (0.91440m); and the last one at approximately 6ft (1.82880m) from the ground. The results were not very conclusive because, apart from the first measurement (1ft up), the tree did not appear to have grown! We think this may have been because a hundred years ago there were some branches lower down and their tape, or whatever they used to measure, must have included them. We also measured the spread of the branches and that did not appear to have changed much either. The next stage is to write to Kew gardens with our results and ask them for advice. I wonder if they still have the letter about our cedar written by the vicar of St Stephen’s back in 1914. I thought that producing these leaflets would be a simple task – not so! There is a lot of work involved which is progressing slowly as we want to make sure the directions are clear. We are drawing our own maps and we have a couple of guinea pigs, who are unfamiliar with the area, lined up to test the routes. When we are happy with the routes and the text, and we are sure people won’t get lost, we will be approaching our designer. While we were out testing one of the walks, we crossed the field and walked towards the North Orbital to look at Flint Cottages. I knew of them but had never seen them. There are two cottages which were once used by workers on Hedges farm. Some time ago, I received a letter from someone whose grandparents, Jack and Sara Stratton, lived there. Jack was head cattleman for over twenty years. He and his family lived at No. 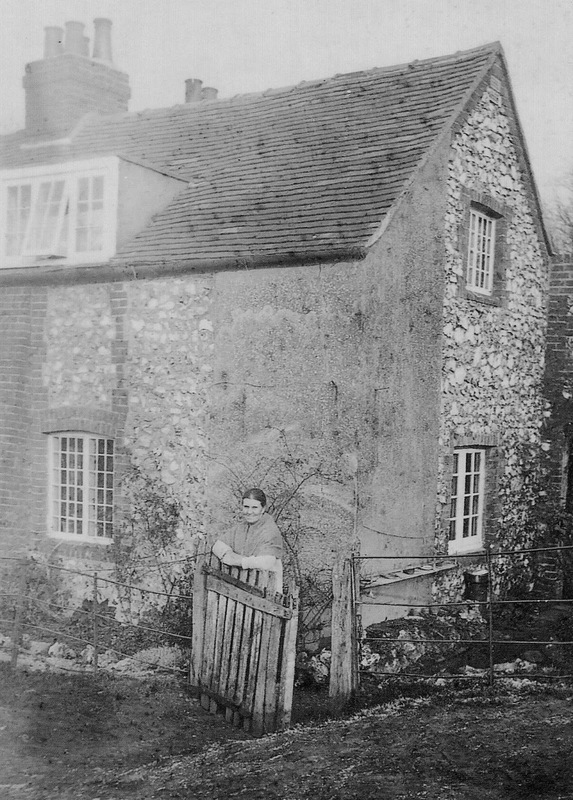 1 Flint Cottages from the 1920s through to his retirement in the early 1940s. We are very pleased with the video of the launch of the Sopwell Memories Project which is ready at last and is now on our YouTube channel. It includes some good stories about the Sopwell area. We are still collecting lots of new and interesting stories from residents and are in the process of transcribing and selecting the best bits to include on the website. I have been given some training on editing these audio files using Audacity software. It is so comforting to be able to take out the ‘ums’ and ‘ahs’ and irrelevant bits – usually me talking – and to listen to the stories without interruption. I must get practising. Have we got the oldest cedar tree in England? 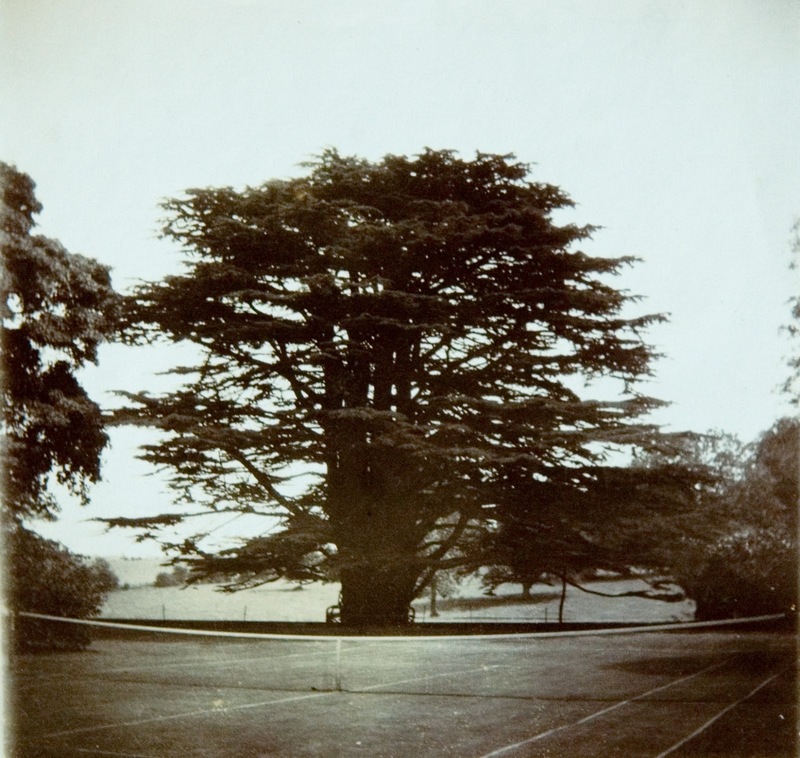 I have discovered that back in 1914 the then vicar wrote a letter to Kew Gardens giving the measurements of the famous cedar of Lebanon - then in what was the churchyard. It was pretty big at that time and that’s a century ago. From the reply it looked like they could not identify a larger specimen and so said that it was probably the largest of its kind in England – no mention of the other parts of the UK. It will be interesting to see how much it has grown in that time. We did measure the girth about 5 years ago when we did our tree hugging exercise and we estimated that it was about 9m – or seven adult hugs. Back in 1914, the tree measured 26¼ft at 3ft from the ground (approx 8m) so it has grown about a metre in 100 years. We still have no accurate estimate of its age. Kew reckons that the previous oldest cedar tree cut down at Wilton House, measured 36ft at 5ft from the ground in 1874 and from its rings it was estimated that it dated from 1638. In order for our tree to fit the legend of King Henry canoodling with Anne Boleyn under it, it has got to be another hundred or so years older that the Wilton House one. Maybe we will never know until it dies and the rings can be counted - and we don’t want that to happen! The almanac also gives details of what the original Vicarage and the garden looked like. The vicarage had twelve bedrooms/dressing rooms, several reception rooms, cellar and rooms for servants. 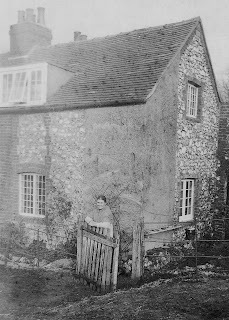 Outside were small ‘home farm’ buildings viz: three brick cowsheds and pigsty; a cottage for the gardener/chauffeur of five rooms; stabling for 4 horses; two coach houses (or garages) large & small; four large coal and wood sheds ; and a dairy. It was demolished in the 1970s because it was vandalised by youths who took advantage of the generosity of the then incumbent, Rev Hart-Synnot. It must have been a wonderful house and garden in its day. Here is a lovely description of the garden and grounds. “The Vicarage garden and grounds (of about 2¼ acres) are of great natural beauty. They include an orchard walled on two sides and adjoining the churchyard, a large lawn on the Eastside of the house and a small lawn on the West on Watling Street side, a large walled kitchen garden, a glade at the south side of the large lawn, two shrubberies with trees, a pleasant little wood with fine trees opening from the bottom of the large lawn. There is an ancient and picturesque well with the wheels and cogs of wood. It has not been used since the town water became available.” And there were tennis courts. What a lovely picture of what we have lost. At least the cedar is still standing! 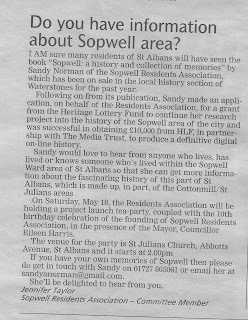 There is a growing Facebook group called “Grew up in St Albans, Cottonmill and St Julian’s Estates 1955-1978” and loads of people are posting memories of Sopwell and from many other wards in St Albans. Some members are from really faraway places such as Cornwall. I like to think that our work collecting memories has inspired the group’s creator to set this up. Many of the photos posted are already in our book and many of the “do you remembers” can be answered by reading our book, although this is not often pointed out, unfortunately. So, part of me is disappointed that my Sopwell Project page on Facebook has only 30 odd members and this one has over 500! On the other hand, it is a really good site to collect stories and identify people to interview. I have found a photo of the prefabs in Lee Lane – neither Lee lane nor the prefabs exist any longer – and a lovely photo of the railway crossing before the land above it was developed. I am seeking permission to use them of course, although no-one on the site appears to be taking too much notice of the big (c)! I have also made contact with a lady who lived in Mandeville Children’s Home, another building which has disappeared. She has agreed to share her memories. Earlier this week, I gave a short presentation at St Peter’s Primary School assembly to tell the children about some of the history of the area surrounding their school. I explained how we got the name "Sopwell", all about the Nunnery and Sir Richard Lee, about swimming in the river Ver years ago, how the river has changed over the years and about the river industry (mills and watercress). And I asked for their help to collect more memories. I asked them to talk to their parents and grandparents about what they remember. They appeared to be interested, which was gratifying. My contact at the school has said that they will get the children to start interviewing their parents from September and that the whole school will be involved in local history and helping us in the project in the Spring Term. This is just what we want! 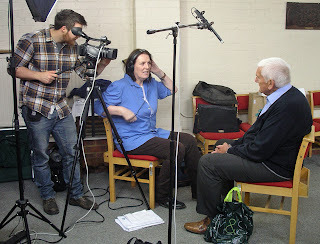 Finally, we have also had some oral history training this week, so interviewing will commence shortly. 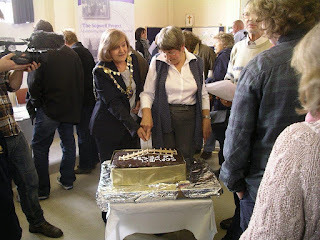 More Memories of Sopwell Project officially launched! The official launch of our community project took place last Saturday, 18th May in St Julian's Church, Abbots Avenue, St Albans. We combined the launch with a memories gathering exercise as well as celebrating the 10th anniversary of the Sopwell Residents Association. There must have been about a hundred people who attended over the three hours it lasted. For us, it was a success to have been able to attract that many, and the church was equally pleased. Our goal was to reach out to all members of the community to persuade them to share their memories and join in the fun and we certainly achieved that. 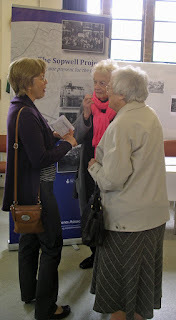 There were several older residents willing to tell their stories, some of whom we have already interviewed before. 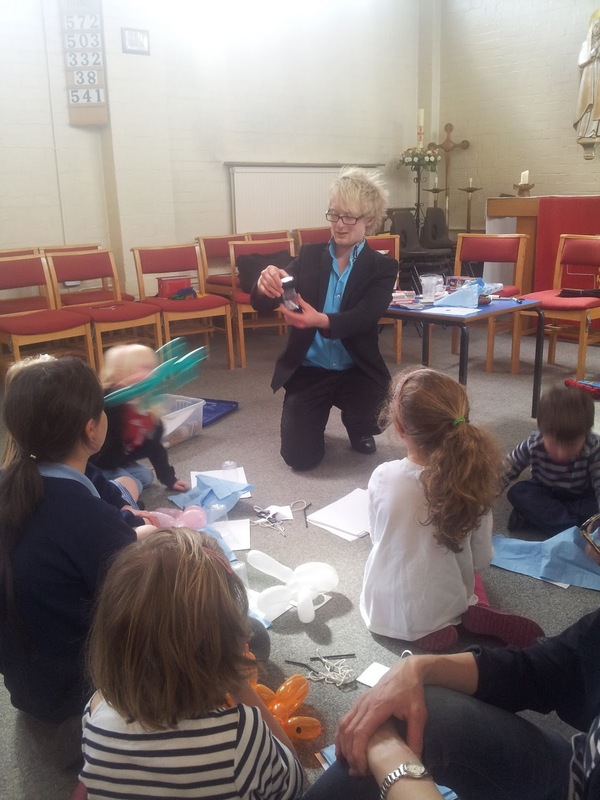 However, we were pleased to see the younger generations, including children, coming forward to join in. As well as a "Memory Wall" on which to leave a memory, we borrowed a video booth from the University of Hertfordshire so that those wishing to share a memory could be recorded. If their memories appeared interesting or relevant, they were encouraged to agree to a follow up interview at a later date. 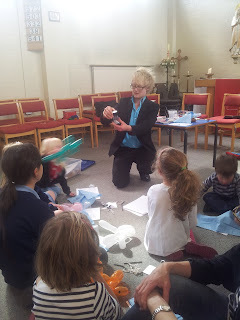 This proved to be very popular with everyone, including children. It is nice to see and hear a child saying spontaneously how lovely it is living in Sopwell because it has wonderful historic places to visit. The message is really getting through! Continuing with the theme of children, the SRA held a children's painting competition for three age groups. 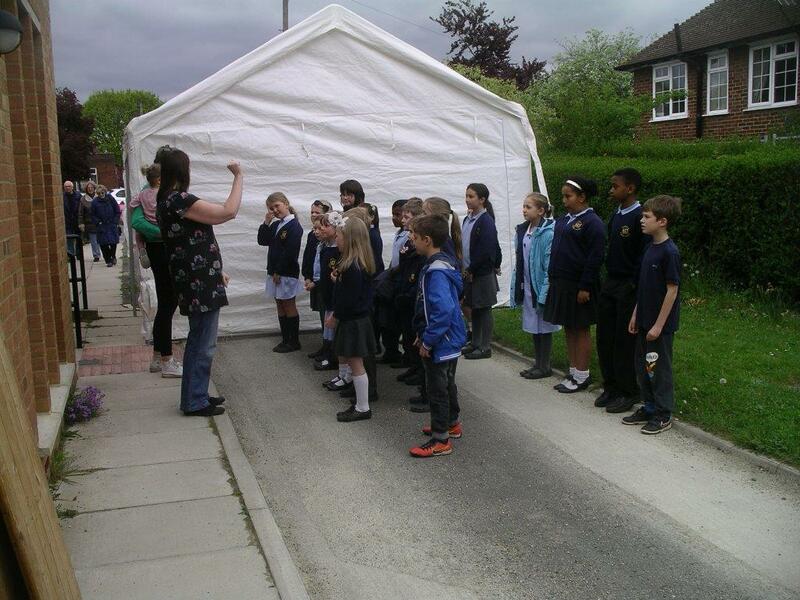 We asked all three local primary schools to get involved which they did very enthusiastically. The theme of the painting was Sopwell as we wanted to encourage the children to become aware of their local area and hopefully show their appreciation in art form. We had about 80-90 entries quite a few of which were of the same subject. The teachers must have suggested that the ruins in the Nunnery Open Space would be a good subject as the majority of the entries were of the ruins. Another favourite was the river, the paintings suspiciously all looking the same until we realised that they were copying a photograph. However there were also some other interesting subjects to judge. One enterprising class decided to paint portraits of the Mayor. Although this may appear to have been irrelevant, it wasn't as the present Mayor is a Sopwell Councillor and a governor of the school in question. The judges spent several hours judging the entries and came up with some worthy winners. We gave prizes to the three winners and runners up. However, because the Mayor's portraits were so amusing, we decided to award prizes for this category. These were judged by the Mayor on the day. 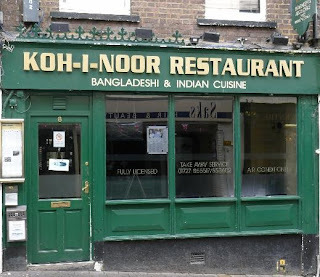 We had several tables of displays of old photographs and maps, rolling displays on computers and our two splendid banners to trigger memories and discussions. We also had a table display of memorabilia: artefacts dug up in gardens and allotments or found near the ruins or old buildings such as old coins, milk bottles and other small bottles, roof tiles and tesserae, oyster shells, and clay pipes. The eagerly expected mammoth bone turned out to be a fossilised mammoth's tooth which was no less splendid. Another highlight was to hear the Mandeville school choir sing three beautiful songs which brought tears to many eyes. There was a really clever magician, Tony Middleton, also a local, who entertained the smaller children for the last hour. After the formal launch, the Mayor of St Albans, Councillor Eileen Harris and myself cut the wonderful chocolate cake made by a 16 year old, another local, Jed Armstrong. The event was filmed, including a number of video interviews, so, eventually, we will have a real digital record of what everyone said was a wonderful community occasion. You can see more photos in our album about the launch event on Facebook. Tea party and family fun this Saturday afternoon! All Sopwell residents and friends welcome - no charge. Do come along to join in the fun, learn a bit about Sopwell's rich history and hopefully share some of your own memories with us. As part of the celebrations for the launch of the Sopwell Memories project and the 10th anniversary of the Sopwell Residents Association, we are delighted to announce a painting competition for children living in Sopwell. The theme of the competition is very wide – anything to do with the history or a landmark in Sopwell. To give you an idea, it could be something to do with the old Nunnery, or the Holy Well, or a painting of the river, an ancient tree, a famous Sopwell person, your street... You choose! 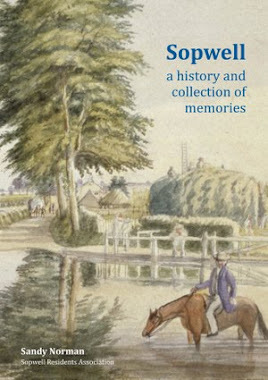 And if your parents have a copy of our book "Sopwell: a history and collection of memories", this will give you lots of interesting ideas. For children living in Sopwell - there are three age groups: 5–7, 8–10, and 11–13. The size of your painting or drawing should be no more than A3 (30 x 42cm). 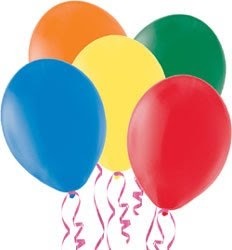 There will be a prize for each of the three age groups, which will presented at the launch party on 18th May. If you would like to enter, bring along your painting to St Julian’s Church, Abbots Avenue between 10am and 12noon on the day of the party, Saturday, 18th May. Some of the local schools are making their own arrangements to collect entries, so please check with your school. The competition is part of the celebrations on Saturday, 18th May, 2-5pm, at St Julian's, when prizes will be awarded. For more information, including the programme of events, click here. We have had some publicity in the local press at last! The St Albans Review published a letter written by Jennifer Taylor about the project and the launch - see photo (click on it to see a bigger version). We have already had a couple of people who live outside the area contact me to share their memories: one was a postman in Sopwell during the war and the other was a milkman. We should get some really good stories from them. 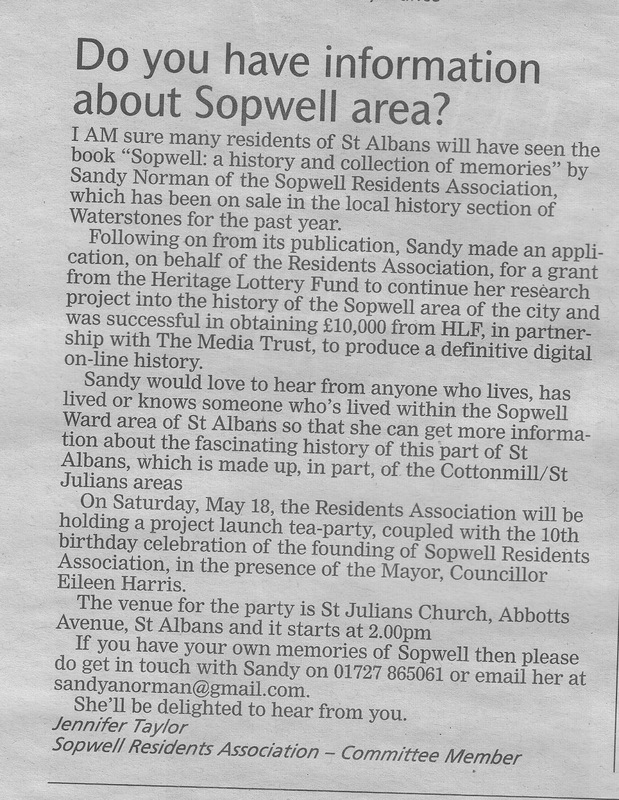 Also, I have been giving several talks to various groups in St Albans about the project and at every talk there is always someone who has lived in Sopwell and has fond memories. So I am gathering lots of snippets of information and making a list of names of people we need to interview in depth. Collecting names from the immigrant communities is not that straightforward, however, but then I never thought it would be. We are hoping to identify quite a few at the launch - which is just over a week away! That reminds me: I must send the press release off. Talking of which, amongst all the other million or so things we are having to think about, we are printing a programme of events and hoping to get a few adverts from local businesses to pay for the printing. The programme, although ephemeral, will hopefully be of interest to later historians, not just because of the event, but also to see the advertisements: who was doing what and where. There is a lot of information to be gained from such detail. I remember seeing an interesting advert for Ryder's seeds in a Coronation event organised by Mandeville school in 1953. Samuel Ryder started his "penny a packet" seed business in St Albans and became a national figure when he gave the Ryder Cup to the nation. You never know, today's small concern may have local significance in years to come. Don't forget to come to the launch on Saturday 18th May, 2 to 5pm, at St Julian's Church, Abbots Avenue, even if you only stay for half an hour or so. We need your memories! 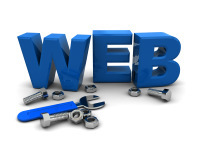 Do we have any professional website developers in Sopwell? As part of our Heritage Lottery funded Sopwell Memories project, we are recruiting someone to build a new website for visitors to discover the history of Sopwell. The website will contain our archive of memories, history and events collected from residents on life in Sopwell. The site will be based on a content management system and will have text, images, audio and video recordings. A detailed specification will be given to applicants. Please apply by email to info@sopwell.org.uk. Last week, I held a meeting at Mandeville school for the Project helpers. I called it a brainstorming meeting as I wanted them to steer me in the right direction to get the project underway. There were twelve of us around the table. Three people couldn't make it. It is good to know that I have an adequate pool of helpers as I cannot do it all on my own. I filled them all in on the details of the grant and outlined what we have done so far. Amazingly, we have accomplished a lot considering the project has not yet officially started. Then we discussed next steps. At the meeting, I received a pack of completed forms from Mandeville schoolchildren who had been required, as part of their homework, to talk with their families over Easter about their memories of coming to and living in Sopwell. The idea is to make the migrant communities aware of the project and hopefully to agree to being formally interviewed at a later date. So we had fun looking at the forms to discover the many countries where their families originated. I will do some analysis later. Inevitably, a lot of the discussion was on the forthcoming launch party on Saturday 18th May at St Julian's Church, Abbots Avenue. There is such a lot to think about if it is to be a success! We have agreed to have a professional filmmaker make a five minute film of the occasion for our digital record and which will double up as publicity for the project. We agreed that it was a good idea to use some of the residents who contributed to the book. This all needs careful planning: how many shall we interview; who will be interviewed; and where is the best place to do the filming. I am reluctant to approach potential interviewees too soon in case they are put off and fail to turn up on the day. Then there are the decisions about the venue: what space can we use; where can we display photographs; where to put the winning entries of the painting competition; where to put the rolling display of digital images; where is the cake going to go; where is the quietest place for the video booth; where will the magic show be held if it rains? It is all very worrying and it keeps me awake at night especially when another problem comes into my head which we haven't discussed! Anyway, it was a very productive meeting and my team are behind me, which is reassuring. Once the launch is over, we will be planning oral history training and then starting to interview residents. But first we must make the launch a success! 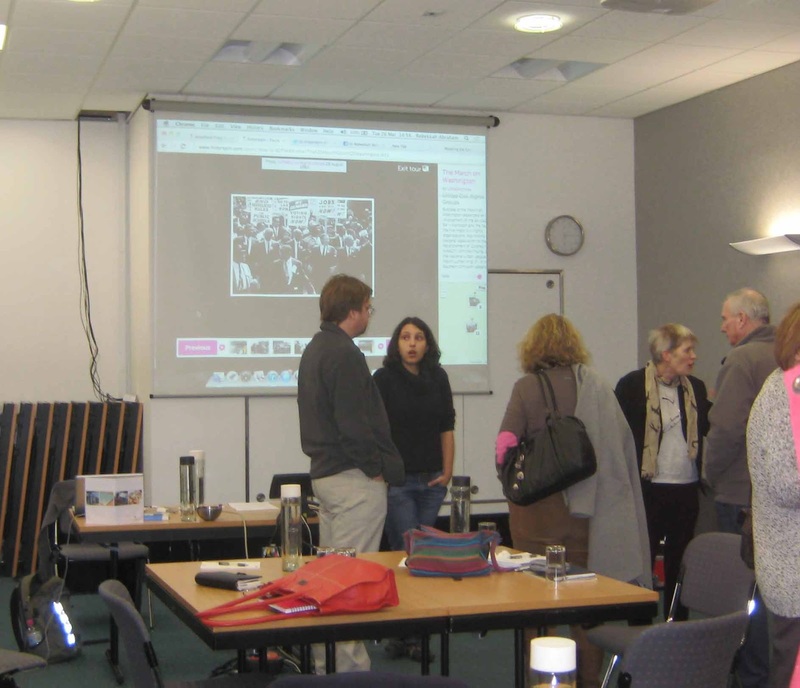 On 26th March, Peter and I attended a workshop held at the University of Hertfordshire on the possibility of using the Historypin website to enhance our project. Historypin calls itself "A global community collaborating around history" and so could be useful for groups exploring the history and memories of their locality, such as us. You can watch a 90 second introduction video here. I found the morning session difficult to follow as it was all general stuff about what Historypin was and its global following, and I couldn't see how it would be relevant to us. Added to this, as I was sitting at the back, I found I couldn't catch everything that was being said. Neither could I see the screen very well. I know I wasn't the only one who found it all very difficult to take in. There were loads of questions from the other participants, and, as usual, the problem of copyright reared its ugly head. I kept quiet on that although I could have contributed lots. The other delegates seemed to answer each other's questions anyway. I learnt more over lunch and was reassured to hear from the team leaders that there is no obligation for us to use Historypin. It is likely to involve a lot of work in any case. The afternoon session was more practical - I sat at the front (much better) - and then the pennies started dropping! I began to see how it could be an advantage to become a "Channel" - Historypin speak for someone who joins up and adds images. I think most people understand practical stuff; if it can be seen working in practice, then it is easier to see the relevance, or not. I could see that simply adding a few photos with a link to our website would provide us with another shop window for our site, another way for people to find our site! We were then told that we can link images into a "Tour", maybe a walking tour, and another penny dropped. 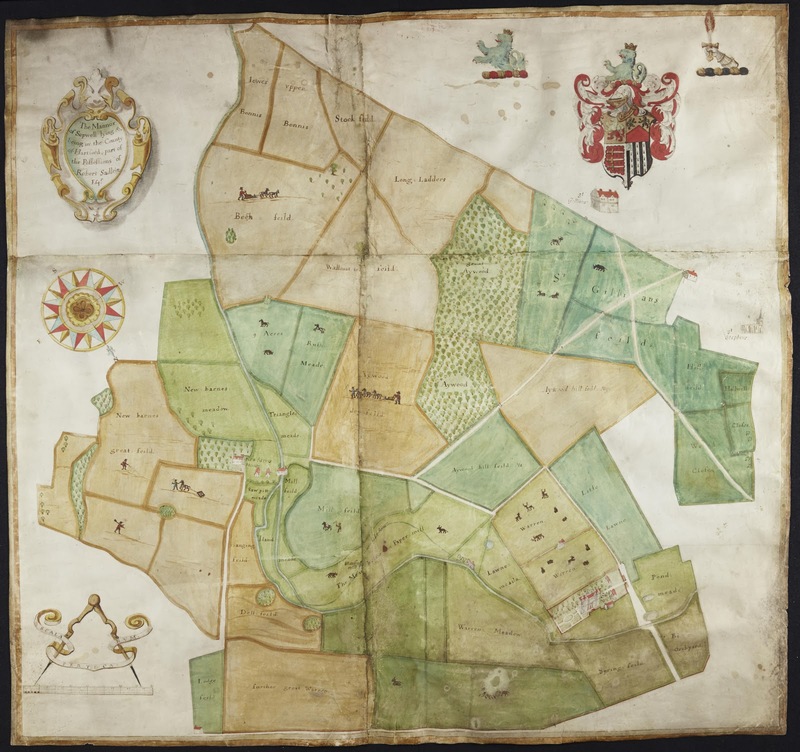 Yes, we could put our five planned walks around Sopwell up on Historypin! As we are restricted on text, we cannot add all the history detail but we could direct visitors to our website to find out more, and try to persuade them to read our book! Alternatively, we can link to audio recordings on YouTube, so we could add a spoken commentary. Historypin also provide a free Smartphone app, so users could access the information while they were walking, using their mobile phone as a virtual tour guide! Since then, we have opened a "More Memories of Sopwell" channel on Historypin and have started uploading a few photos and pinning them onto Google Maps. It's early days still but it has been very straightforward so far except that if an image is not on a street, such as the ruins of Sir Richard Lee's Tudor house in the Nunnery Open Space, it is automatically allocated the nearest street and house number. Often, this information is not helpful to a potential visitor. At the moment, we are not sure how to get round that problem. We are now advertising for help with the project, some voluntary and some paid. Specifically, we need oral history interviewers, transcribers, help with publicity, website entry and most important - a website developer. If anyone is interested, please send your details to info@sopwell.org.uk. There are lots of good things to report since my last blog report. The plans for the launch and party on the 18th May are taking shape. We now know what we are doing. If all goes well, we should expect a good attendance, so the aim of making the community aware of the Project will be achieved. As well as being an entertaining afternoon, we hope to recruit many people to interview at the event. The University of Hertfordshire is promising a video booth - not sure exactly how it will work but it should be fun. 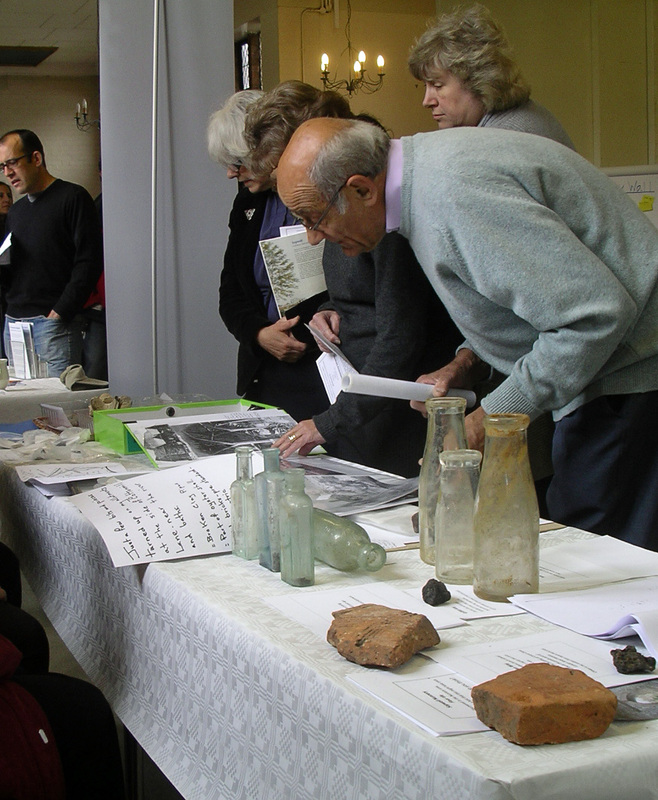 One of the table displays we are planning is of local memorabilia - things of interest that have been unearthed around Sopwell. We have a promise of mammoth bones found in Watling Street and milk bottles from Sopwell Mill farm so far! If you have found anything in your house or garden or allotment, please let us know. 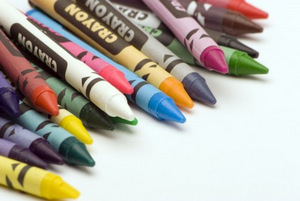 To encourage children to attend, we are also planning a painting competition with the theme of Sopwell. I am determined the children should know about Sopwell's history. We have taken delivery of two splendid portable banners which we can set up at suitable occasions, though, at present, when I take them around, I have to find a "nice young man" to put them up as I cannot reach and I'm not allowed to stand on anything. The business cards have arrived now and the leaflets are in the process of being designed. And we are all set up with the digital recording equipment. We have devised some initial questions and we are planning some oral history interview techniques training. Contact with Mandeville school is progressing and St Peter's school is keen to take part too. With regard to personal progress, I am now starting to get out and about on my new hip. I am still a bit wobbly but this will improve over time.